Looking for an early taste of the new Touchwiz? Here it is! 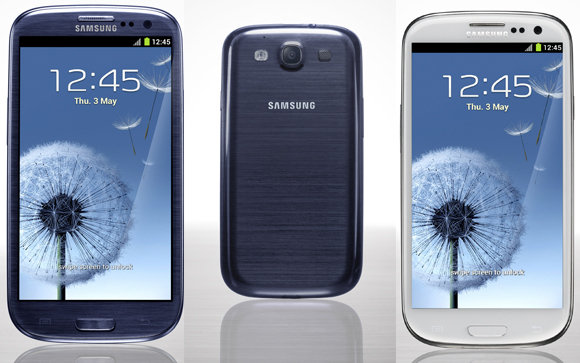 A leaked Galaxy S III rom is out in all it's bandwidth crushing glory! A whopping 800MB download awaits those eager to get their hands on Samsung's latest. The Galaxy S III and its new version of Touchwiz will make about a million additions to Android.Somewhere in this download are things like S-Voice (A Siri-style virtual assistant), Pop-up Play (a floating video window), and Smart Stay (which uses the front facing camera to refresh the screen timeout), just to name a few. Developers (and eager bloggers) should start ripping into it immediately. The full rom, if you've got about 40 minutes of download time to spend, is available right here. S-Voice is available as a separate download here, but Samsung's cloud compute server is very picky about who it responds to. The general theory going around is that is only listens to Samsung devices, but you're welcome to try.